Hours after Barack Obama won a second term as president of the United States, a panel of UConn experts convened to analyze what the results of the vote will mean for the country. 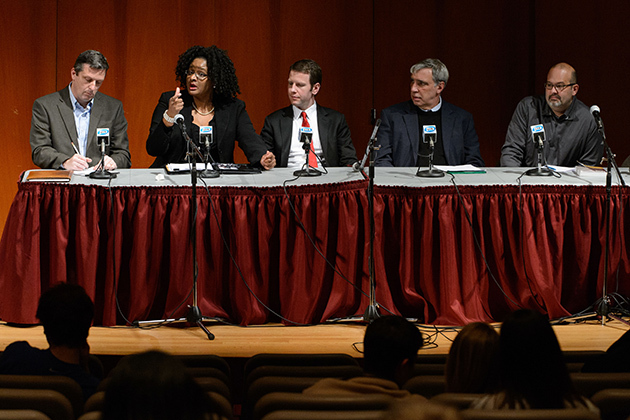 In a panel moderated by Professor Jeremy Pressman, professors Charles Venator, Ronald Schurin, Shayla Nunnally, Vincent Moscardelli, and Stephen Dyson tackled everything from the changing demographics of the American electorate to the critical role that individual personalities play in major elections. 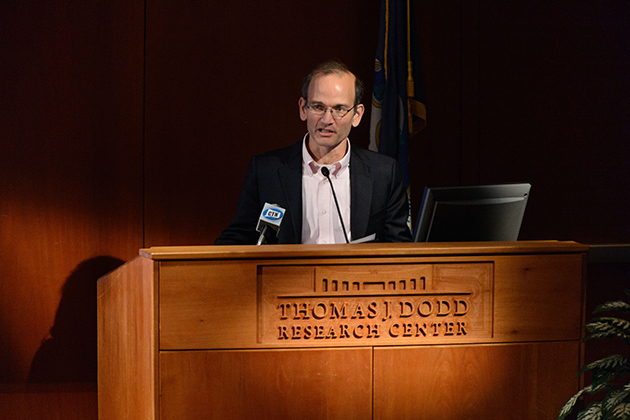 The scholars also discussed the results of Connecticut’s closely-watched race for an open U.S. Senate seat, in which Rep. Chris Murphy defeated former professional wrestling executive Linda McMahon, helping the Democrats maintain control of the chamber. Overall, though, the professors agreed that while the election, like all elections, will have far-reaching effects, it mostly upheld the political status quo, with Obama in the White House, and a Congress divided between a Republican-controlled House of Representatives and a narrowly-held Democratic Senate. “Even though we spend a lot of time talking about change, this election reveals the system’s natural tendency toward stability,” said Moscardelli, noting that roughly nine of 10 seats in the House didn’t change hands. Schurin said part of the reason for this is the relatively static presidential voting habits of American states. The vast majority of states – and, therefore, their electoral votes – are essentially decided for either Democrats or Republicans long before Election Day, leaving a handful of swing states as the only real contested ground for campaigns. “While we are undergoing vast demographic change in this country, we’re in a situation of relative geographic stability and have been for a generation,” Schurin said.